Sync Cue List to Computer System Clock? I’m wondering if it’s possible to slave/sync a Cue List to the computer’s system clock. It looks like the closest thing I could get at the moment is syncing the Cue List to a Timecode plugin, but as far as I know, the Timecode time is relative to some user-defined start point. The application I have in mind is a time-oriented installation, where some coarse-time-grain events happen every 30 or 45 minutes, and I want some finer-time-grain events to happen every 5 minutes (12 times per hour). I’m worried about goofing on hitting the Timecode start button on time, it’s always the simple tasks that I forget about! It’d be nice to have everything run off my Macbook’s system clock. Aaaaaaaand I do have a somewhat roundabout solution you can try in the meantime! 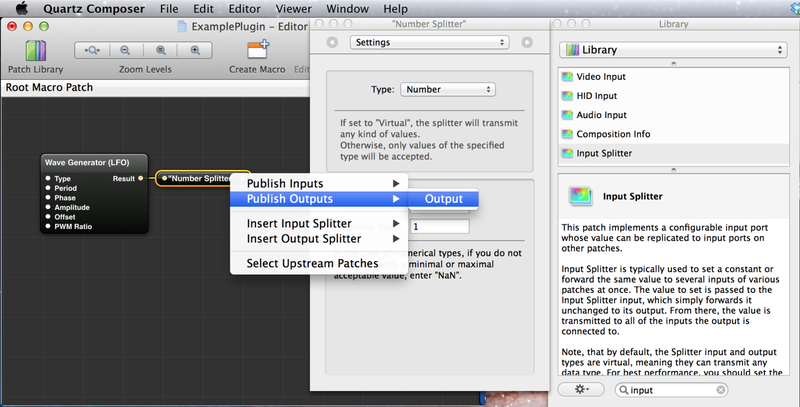 There are some tutorials on making your own custom QC plugins, basically you put them in the VDMX assets folder under plugins and then you’ll find them under a sub-menu in the plugin adding section. 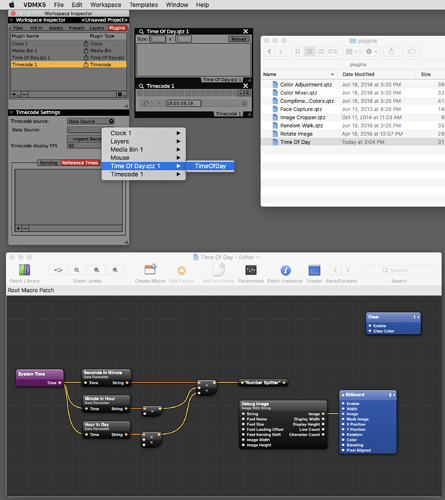 I’ve attached one that I used to make this quick screenshot – note that since I’m just generating a data value, I made the plugin render at 1x1 to save on resources! ​Making custom data-source producing plugins for VDMX using Quartz Composer. Thanks for the response! I’ll give the QC project a whirl tonight. This project has prompted me to experiment with VDMX plugins I never use, like Cue list & timecode. I’m happy to learn some QC too! 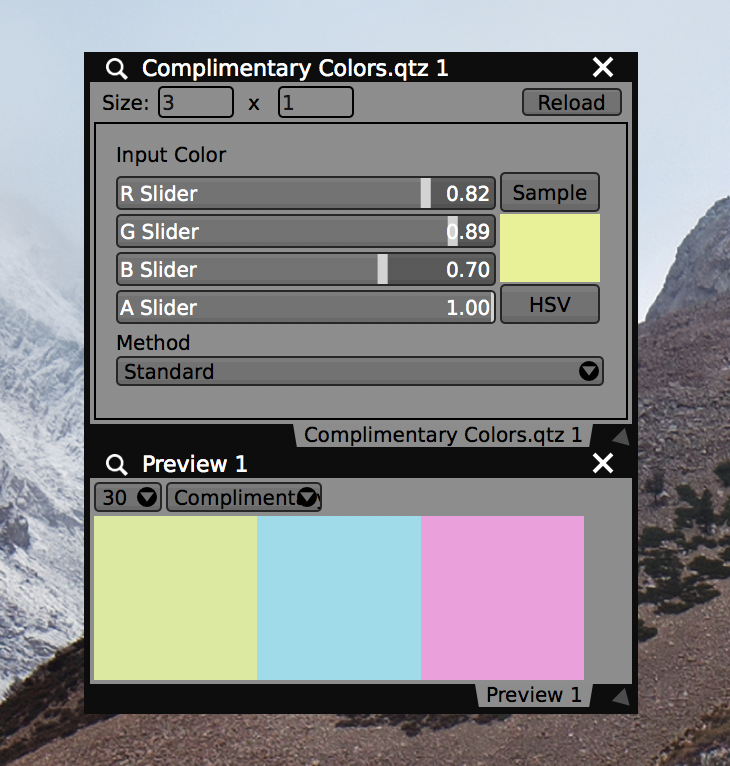 And, I use that complimentary colors QC plugin all the time - including this project. Cheers!